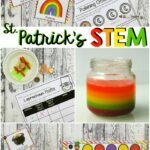 St. Patrick’s Day is the perfect time to add some themed, seasonal fun to our learning. 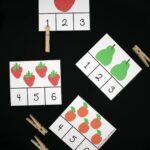 These number puzzles provide practice with number identification, counting, tally marks, ten frames, and subitizing! 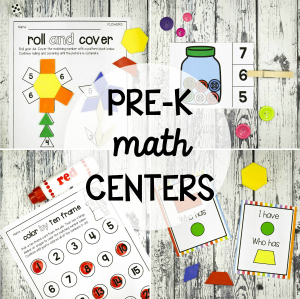 They are perfect to use with preschoolers or early kindergarteners. 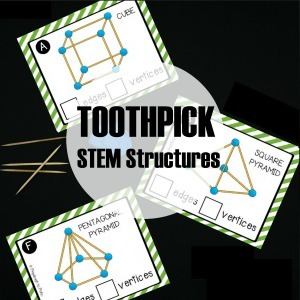 To prep these puzzles, I printed the cards on cardstock and laminated them to keep them sturdy. 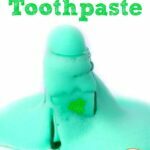 This is especially helpful so that you can save them for repeated use in the future. 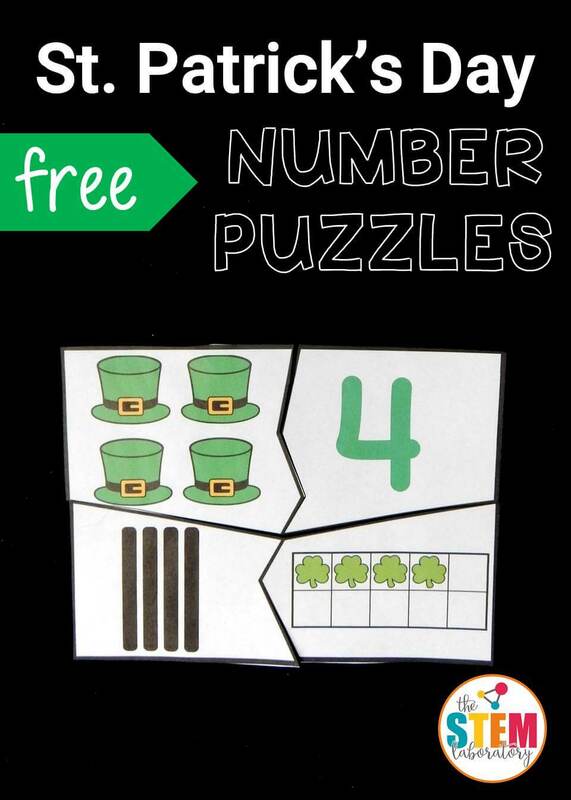 I cut on the black lines to separate the puzzles into pieces, and then put them in a basket for kids to explore and complete. 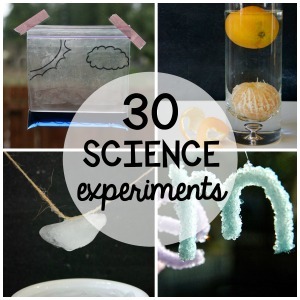 I used them in a small group, so we worked together to complete all of them at the same time, but you could choose how many you have out at once. 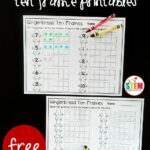 These number puzzles work with numbers 1 to 10 and contain four pieces each. 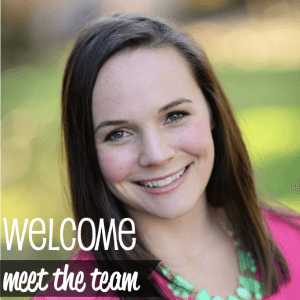 In my small group, we first searched for specific numbers. 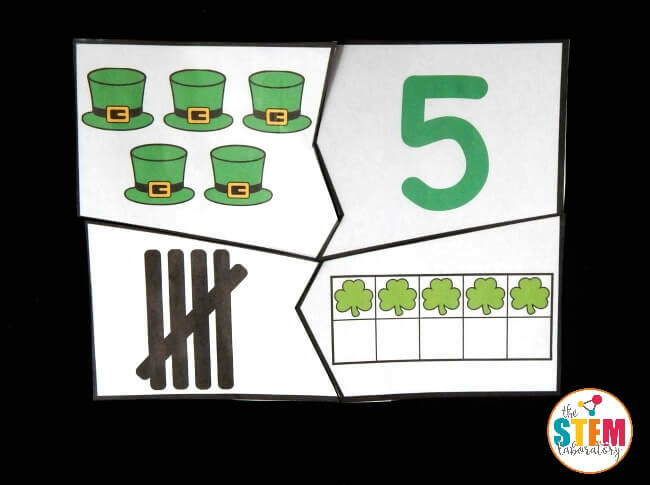 When we pulled the number 5, we knew we needed to look for 5 hats, 5 tally marks, and 5 shamrocks in ten frames. As we found them, we placed the pieces together to complete the puzzle before moving onto another number. 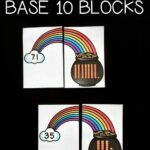 These puzzles work great for building kids’ counting and number recognition. 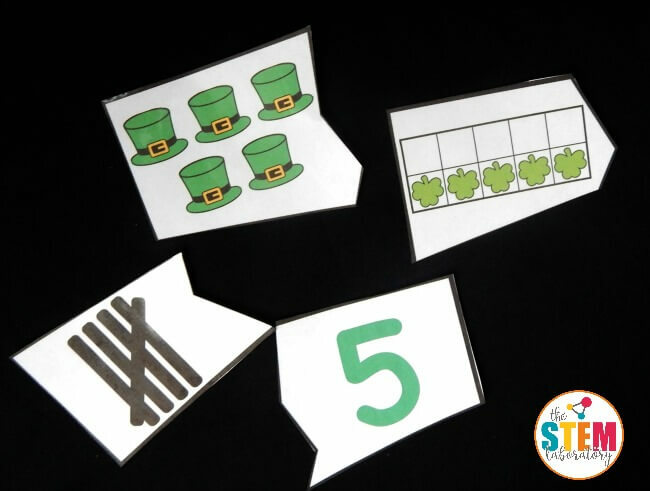 I especially love that they are subitizing the hats and the shamrocks in the ten frame as they practice recognizing the quantity instantly without counting. 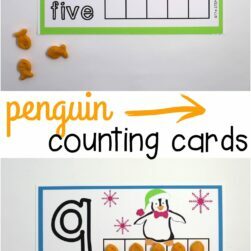 You could also easily make these puzzles self correcting by printing them on cardstock (so they can’t see through) and marking the numeral on the back of the pieces. 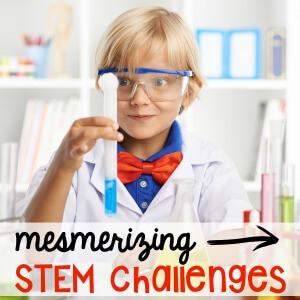 I chose not to, but that could be a great option for an independent math center! 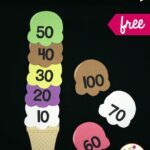 Ready to build number sense while having fun too? 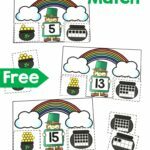 Click the blue button below to grab your copy of the St. Patrick’s Day Number Puzzles and then hop over and snag our Roll a Rainbow Number Game too!